When picking out a gaming headset that is suitable for you, there are plenty of things that you should take into consideration. First, the headset should have a sound that is beautiful and crisp. Second, the headset should account for comfort and convenience. Finally, you want to find a quality headset that is affordable. In order to find the most suitable headset for your particular needs, it is important to know what features you can choose from. Pick out a headset that is versatile when it comes to the types of games that you can play. Also get a headset that can be used with different types of gaming platforms. Also, you will have to decide if a microphone is necessary for the types of games that you like to play. You should also pick out a headset that is portable, comfortable and has a great sound. However, only you can be the one to determine which or if all of these things are important for your particular gaming experience. There are a few headsets that have buttons that can be programmed for specific commands. The features are there for you to choose. It is up to you to figure out which ones are needed and which ones you can live without. Will it be a PC or Console Headset (Xbox or PS3)? The most important feature to consider is whether or not the gaming headset will be for a PC or for a console. There are manufacturers such as Creative that make it possible for the Sound Blaster Tactic 3D Omega to function with PC and consoles. On the other hand, manufacturers like Logitech and Razer have headsets that are used just with computers. If you get a computer headset that is designed for gaming, keep in mind that it will probably not work well with a console. Any game player who wants to interact with other game player will need a headset that has a microphone. Opt for a headset that has a very clear sound so that the other players can hear you. The better the headset, the better the microphone will be. A majority of headsets will have microphones that adjust the vertical position at the arm. The higher priced ones can be adjusted and bent into any position that you want. If you want to play games while the setting is on a low volume, then noise cancellation headsets are great for you. These types of headphones are better at blocking out sounds than producing great sound. Many gamers do not want to harm their ears, which is why they will opt for headphones that have noise cancellation features as opposed to the ones that have surround sound. These headphones are ideal for game players who need an affordable option, but they can’t afford to get surround sound too. If you are a gamer that has gaming cords all over the place, then you will find wireless headsets very advantageous. You will agree that it is very annoying when you have millions of cords interfering with your gaming experience. As a matter of fact, a lot of game players have messed up perfectly good headphones by getting tangled up in all of the wires and cables. This does not happen when you have wireless headsets. A majority of them are able to charge by using a USB and most of them will let you play up to ten hours on one charge. Bluetooth has done a fine job with making headphones much better. They are just as good as wired sets in terms of sound quality, but they generally cost more money. Many of these headsets have a range of more than forty feet, which is good for when you need to go to other parts of the house. In addition, wireless headsets can be taken to other places, which is good if you are a game player who participates in different tournaments and LAN parties. Game players who like to play for hours on end will require a headset that is very comfortable and convenient. The more expensive a headset is, it is normally not designed with comfort in mind. As a matter of fact, many of them can give you headaches if you use them too long. Try to find headsets that are padded in the ear cup. The much higher headsets will also have memory foam that will make them much more comfortable. If you are a true game player, then you will have a huge appreciation for anything that makes your gaming experience much more convenient. This does not matter what type of game is being played. If you have buttons on your headsets that can be programmed, then you will have different ways to change up the sound. However, these are usually considered a luxurious choice that is not really needed. Logitech has come up with the G930 and it has three of these buttons. Use it to control your conversations, voice modulating software and other game features. Most game players have a list of features that they want, but they also have a budget that they must stick with. List the features that you want and then determine which ones are necessities. If you are an audiophile, then you would rather have good sound quality, which means that you should purchase a headset that has surround sound. 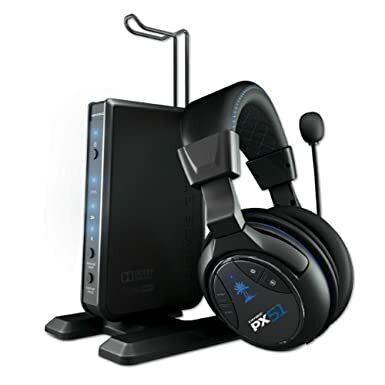 However, if you tend to be more mobile and need to take your headset with you when you go to various tournaments, then you should opt for a headset that has wireless capability. The following is a list of recommended brands of headsets for game players who need to stick within a budget and also for game players who would prefer higher priced selections. Even though you can find headsets that are less than one hundred dollars, the average game player can tell you that there is a huge difference when it comes to quality. Beginners or anyone who needs to choose a cheaper headset should purchase their headsets from companies like Triton, Turtle or SteelSeries. They can offer you products that are adequate and inexpensive. These are headsets that can always be upgraded sometime in the future. When you are more concerned about quality than cost, then game players have the chance to choose higher price selections. Razer, Plantronics and Logitech have a few good headsets that costs from 100 to 300 dollars. These headsets will have things like wireless capability, buttons that can be programmed, surround sound and other elaborate features. But, keep in mind, that you can pay thousands of dollars for these types of headsets. We tested this headset for over three weeks, which means we can confidently state that this is one of the best surround sound headphones that we have ever seen. But, you will have to pay a hefty amount for this type of quality because this A40 headset will cost about 250 dollars. This is almost the same of amount of money that a new console would cost you; however, this headset is well worth the price. It has wireless capability with Dolby Digital 7.1, a changeable microphone, speaker tags and is multiplatform compatible when used with MixAmp Pro. The headset has a wonderful and clean sound, which brings you a strong bass and precise high notes. Although it has a design that is very lightweight, it is still one that is sturdy. In addition, the cushions that are put over the ear do not lack comfort, which means that you can play games for hours on end. This particular headset is the official PC gaming headset that is used by the MLG, which should prove to you that it is a good choice. There is no comparison. The audio is better than others that cost this amount of money and it has a great design. You can play games for hours on end because they are so comfortable. They do nothing to take away from your ultimate gaming experience. Even if something bad were to happen, customer service would have you back to your games in a short manner of time. This particular headset is a very good wireless selection because of its great audio sound, the way that it is designed and its wonderful range. It has a basic USB transmitter that can be compared to a flash drive. It utilizes the average USB port. It also has the Dolby Digital 7.1 surround sound, a dual uncompressed audio streaming and a long battery life that can be charged while you are playing your games. It also has three G Keys that can be programmed to control your chat, music and voice morphing. It has a good sound, but the bass is not all that great. In addition, the memory foam lined headband makes it easier to play your games. Even though the price is about one hundred bucks on Amazon, this little headset lives up to the value. It can be said that this is a wonderful wireless choice. The Turtle Beach X41 headset leverages the radio frequency, which gives it wireless capability. Even though it has a few flaws and an expensive cost, this particular headset is considered one of the best wireless headsets on the market. It was manufactured for the Xbox 360 platform. It has a microphone that can be removed and has chatting connections that can be used with the Xbox Live platform. This headphone will give you surround sound when used with most home theatre sources. This is because it has Dolby Digital 7.1 built in. This headset will let you play your games with great sound, if you do not have a way to use your external speakers. We think that a lot of gamers will still like to use this headphone, since it has the Dolby built in. As can be expected, this is a great headset for the person who does not have an external surround sound option. You might think that paying two hundred dollars for this headset is a bit much, but you could probably find this headset online for around a hundred and eighty bucks. This can be compared to the price of about three simple games. Considering the fact that the X41 will work with just about any platform, you might be happy with this wireless selection. When Tritton first introduced the AX720 7.1 and the AX Pro, it realized that it has customers on both sides of the fence in reference to rear and side channels. Although the AX Pro has four different speakers in the earpiece and has a range from 30mm sub down to 23 mm speaker for the center channel, the AX 720 uses stereo 40mm speakers that work with Dolby to give you a awesome surround sound. Tritton got it right because the rear and side channels provide a good alternative to the little 30mm drivers that the AX Pro has. The new 720 model has a bigger 50mm speaker in both earpieces. It also has other changes as well. With the USB control box, it uses a regular optical audio cable as the main input, which means that it can be conveniently hooked up to any platform. It has many adaptors than can be used for most types of connections. If your system is older, you could easily take a few extra minutes to hook up via a 3.5mm audio jack, which can accommodate a lot of different microphone sources. 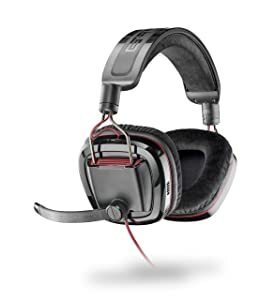 The average game player will tell you that you need a great headset in order to make the gaming experience complete and Plantronics has been able to provide this type of headset for numerous years. The GameCom 780 is the latest headphone to hit the market. It is a USB surround sound choice that not only performs well, but it is also considered to be very comfortable. It uses Dolby Digital 7.1, which means that it can provide great sound. It has a noise cancellation microphone that can get rid of any background nuisances that you might have, which makes all of your commands impressive indeed. This particular headphone can produce great sound. It has crisp highs and really robust lows. It has 40mm drivers that deliver great surround sound. Basically, it is a great little headset for the under sixty dollar range. This headset most definitely has a great name, but it is also the manufacturer’s way of providing a headset that will eventually be better than all other gaming headsets. It has many advanced features that most game players will love such as a Scout Mode, which was made to have wonderful sound with the in house THX Surround Sound, which the manufacturer said was better than Dolby 7.1 and even Dolby 5.1. It also has a microphone that cancels noise, a wireless dongle and an in house quad core sound card. It has a wonderful design that is long lasting, so you will probably not have to get another headset for a while. Yes, it costs a lot of money, but it will work with just about any platform that you will ever use. This is a headset that has wireless capability and was made for the PS3 and Xbox 360. It has a digital signal process and Dolby Digital surround sound, which provides a very strong and crisp sound. This is a combination that you would expect to find in a much higher price range. The Dolby surround sound will go well with many games such as Call of Duty or Forza Horizon. These headphones also have Dual Band Wi Fi, which is good because it can remove anything that interferes with the audio from most Wi Fi networks. If you add Bluetooth to the mix, then you will have numerous methods for making these headphones wireless. When it comes to its construction, Turtle Beach has created a headset that is great materials that will last. The volume knob and preset button have all been designed fairly well. It also has a great earphone that has both black matte plastic and a black shine.